We have analysed the sterling career of Shontayne Hape in great detail. 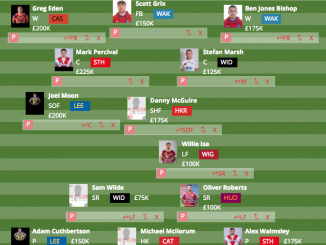 When you look back over 22 years of Super League, we have been treated to some fine talent and none more so then from the centre position. A position that requires a combination of power and creative flair and when you look throughout those years, there are plenty of names that fit this bill. 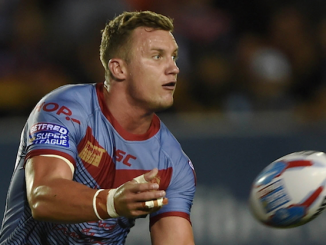 Whether it be Keith Senior, Jamie Lyon, Gary Connolly, Paul Newlove or even Kallum Watkins, they have all staked their claim as some of Super League’s greatest centres. However, there is one name that maybe ever so slightly under the proverbial radar when it comes to discussing some of the best centres to play in Super League and that is Shontayne Hape. 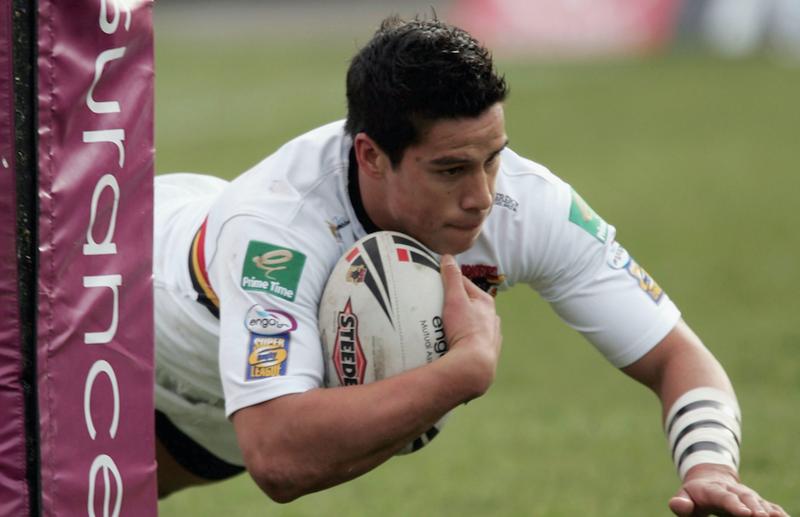 Now, as the former the former New Zealand Warrior and Bradford Bulls man celebrates his 37th birthday, we dive in and focus on the career on the incredible player…. The Auckland native began his rugby league in his hometown, turning out for Te Atatu Roosters as a junior, a team who over the years have wielded the likes of the Paul brothers and Mark Elia throughout their ranks. The talent was all but clear to see and by 1999, he had signed with NRL side the New Zealand Warriors at the tender age of 18. Even by then he had already represented both the Junior Kiwis and New Zealand Maori as his career path looked destined to be on an upward trajectory. The 2000 NRL season saw the young prospect make his first-grade debut with the Warriors, making his talent and try scoring prowess abundantly clear. It was nothing but an impressive first season from the New Zealand youngster as he walked away with the Rookie of the Year award for the season. After a three-year stint with the Auckland-based team, he was already being scouted for a move to the Super League and by 2003, he had signed for the team of the moment – Bradford Bulls. It was here that we saw the best of the former Kiwi international. That debut season proved to be his best season to date as a rugby league professional, becoming an integral part of the Bradford side that produced – arguably – their greatest season in the club’s history by claiming an historic treble. After missing only one of the Bulls’ 35 games, the skilful yet hard running centre’s chemistry with Lesley ‘Volcano’ Vainikolo out on the flank was nothing short of a pivotal piece of the team’s engine and proved to be a partnership of lethal intentions. They were spark plugs, if you will, as both players were seemingly always at the centre of the action. 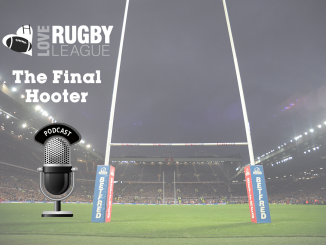 A rampant season from the Bulls saw them continue a run of dominance in the league, finishing as the league leaders, three points ahead of arch rivals Leeds Rhinos. There are many occurrences in sport where we see new signings needing time to adjust, whether it be because of newer surroundings or fitting into a new style of play. However, what separates those from the pack is how quickly those adjustments are made. In Hape’s case, the changes made were swift and instantaneous. The progressive centre made his presence felt, easily settling as part of an offensive and defensive firestorm that already consisted of the likes of Vainikolo himself, Tevita Vaikona, Jamie Peacock, Robbie Hunter-Paul, Paul Deacon, Joe Vagana and Michael Withers..
An emphatic debut season saw him score 11 tries in 29 appearances during the league season, making his presence felt right away. In the 2003 Grand Final, Hape was one of three try scorers that secured Bulls’ third Super League title with a 25-12 win over Wigan Warriors. The former Kiwi international’s performances in the league also quickly translated on to the Challenge Cup scene where he scored five tries in as many games, before Bradford went on to claim the domestic trophy in a narrow 22-20 win over Leeds and in the end, securing that elusive treble. After an impactful debut year, the 2004 World Club Challenge followed as Bradford went up against NRL premiers Penrith Panthers and a 22-4 victory secured one epic debut year for Hape. Despite narrowly missing out on back to back Super League titles in 2004, the 23-year-old was still able to take his game to another level and his aforementioned chemistry with Vainikolo took full force. On a weekly basis, their link up play became one astonishing sight to leer over as they put forth offensive masterclasses with their ability to steamroll an opponent’s defence. A total of 60 tries between the pair showcased just that as Hape contributed with 24 in just 26 appearances. Only two seasons in and he was already developing into a firm fan favourite at Odsal and coming into the 2005 season the Red, Amber and Blacks were once again one of the favourites to take home Super League glory. Although it was not to be a dominant league season like we had seen in the past couple of years and with the progressive centre suffering injury problems, the West Yorkshire side still finished third, with the New Zealander still getting in on the act with 12 tries in 12 games. 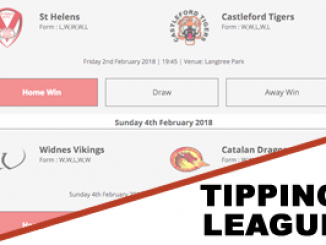 A fully fit Hape returned in time for the play-off run and after victories against London Broncos, Hull FC and St Helens, they made their third consecutive Grand Final. Once again, they came up against an old foe in Leeds and a 15-6 victory secured a fourth Super League crown for the Bulls and a second title for the Kiwi. 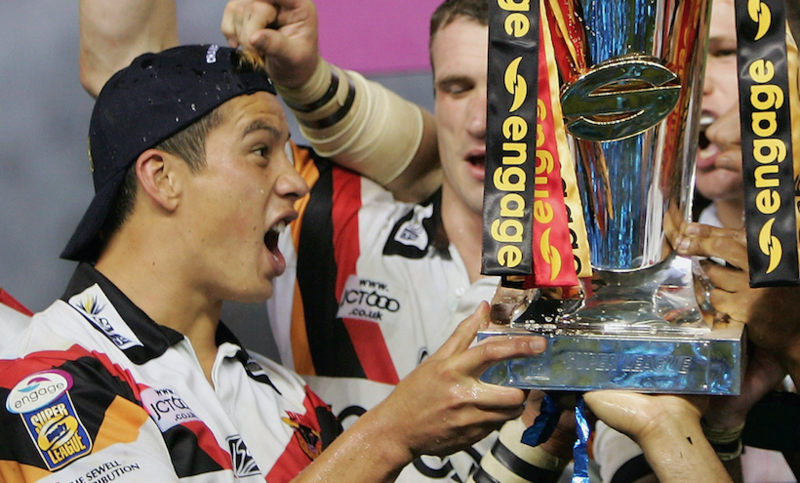 After three seasons, the possibility and sight of silverware was becoming a common place for the Bulls, with another chance at more beckoning in the 2006 World Club Challenge. A 30-10 win over the West Tigers only added another piece to trophy cabinet that had been growing since the late 1990s. Although ruled out with injuries during the latter stages of his Bradford career, a more than accomplished eight-year stay brought something that the fans will never forget that easily. 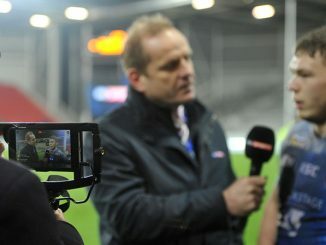 A total of two Super League titles, a Challenge Cup and two World Club Challenges were added to his list of accomplishments. Even despite a fine career cut ever so sadly and unfortunately short due to recurring concussion issues, Hape was nothing short of an exceptional player that laid it all out there on the field. Whether precise in attack or dominant in defence, he became one of the finest centres of the Super League era in such a short space of time. In 2007, Hape was named in Bradford’s their Team of the Century, a team featuring some of the finest the sport has ever produced in the likes of Trevor Foster, Keith Mumby and Jack Maclean and this just showed what kind of impact he made on such a historic club. By the end of his rugby league career in 2008, he finished seventh on the list of Bradford’s all-time try scorers with 86 to his name. A fine talent who could bring everything to the table. The undeniable ability to provide an abundance of tries as well as providing that lethal dose of creative and instinctive flair were a paramount to his game. 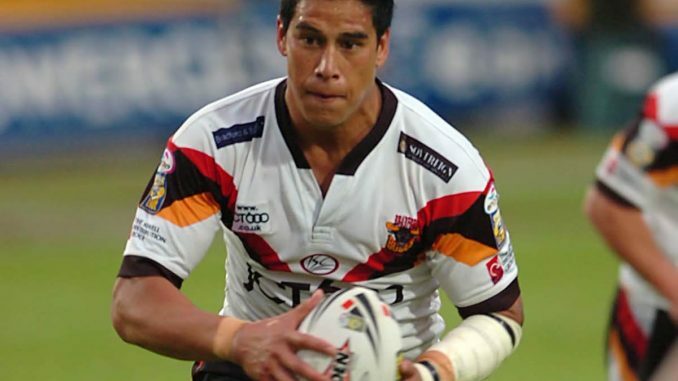 Whenever on the field, he was so much more than a largely consistent performer as the former dual-code star’s exploits and partnership with Vainikolo were some of the best the Super League had seen and still to this day remains highly spoken of amongst the Bradford faithful. They brought it all with a great deal of power and flair, consistently putting their opponents to the sword. Alongside his Bulls’ cohorts, Hape was able to create memories that will certainly live long amongst the West Yorkshire contingent. He was more then able to help write another assertive chapter in the clubs’ storied history, a chapter that will never fade and can be looked back on with such a fond distinction and put one big smile right across your face.